We hope your Thanksgiving was full of family, friends, tasty food and endless amounts of pie - maple sugar is our favourite! Getting right into this month’s news, we’re thrilled to announce another mini milestone - the close of our FrontFundr campaign extension! A BIG thank you to all our new investors for your financial support but more importantly for believing in this dream. In addition to the FrontFundr close, we’ve been busy with the plan and design of our Niagara destination, deep into the search for our final location and we had the pleasure of hosting some very special guests. We’ve officially closed our FrontFundr small investor campaign extension and welcomed 32 more investors to our growing team of Canada Builders. That brings us to a total of 128 investors who have joined us on our journey of building Canada in miniature - Wow! Our team will begin sending out the second round of investor welcome packages in the coming weeks, so be sure to keep an eye out for some mini-mail! A big thank you once again to all of you for making this dream a reality. This is just the beginning of what will be a truly unique legacy to Canada. Breakfast in Toronto, Lunch in Vancouver | Trans Canada Express! Blink and you’ll miss it! 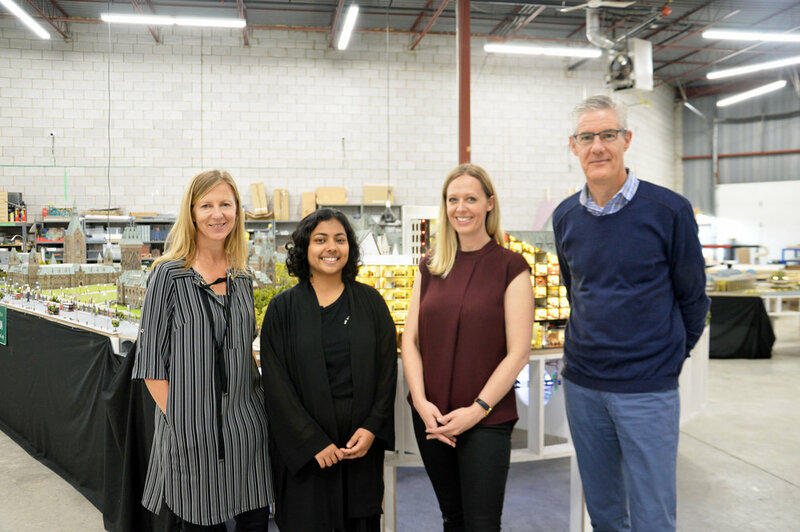 Our Home & Miniature Land teamed up with students from George Brown College Centre for Arts, Design and Informatics to embark on a unique project, one that all our mini citizens will be thankful for! Photo courtesy of Don Wall and The Daily Commercial News. 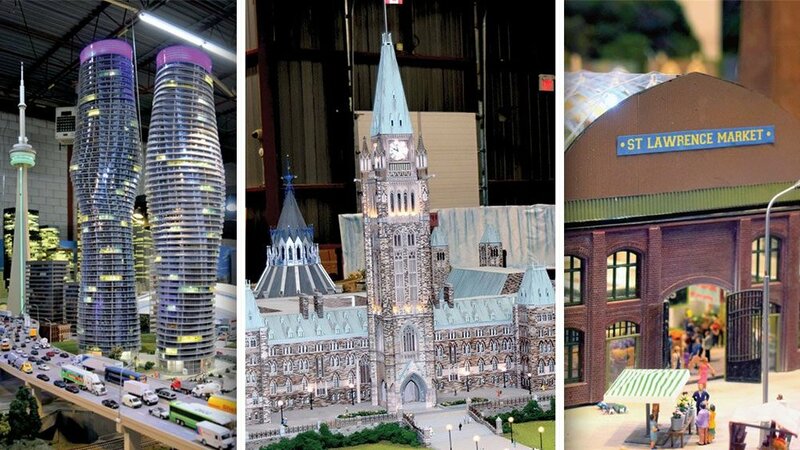 There is nothing we enjoy more than sharing this experience of a journey through miniature Canada with you all so it was a pleasure when Don Wall and the Daily Commercial News popped in for a visit to see all the little things we’ve been up to.